Although the first proposal to apply prestressing to concrete was made as early as 1886, in the United States, it was only as a result of the studies of the renowned French engineer Eugene Freyssinet, in the 1930s, that prestressed concrete became a practical reality. In Europe, in the period of acute material shortages following World War II, Freyssinet and other pioneers such as Finsterwalder and Magnel demonstrated the remarkable possibilities of this new concept of design and set the stage for the development that was to take place in the years that followed. Largely for economic reasons, the evolution of prestressed concrete in the United States has taken place along very different lines than in Europe. Until recently, the main interest had been in pretensioned precast units of short to medium span, which could be mass-produced at great savings in labor costs. Used for floors, roofs, and walls, these units have accounted for a significant fraction of new construction, and undoubtedly will continue to do so. However, changing economic conditions are producing important changes in U.S. practice. Construction labor is not in such short supply as before. The cost of materials is constantly increasing, and there is serious concern for conservation of resources. Under such circumstances, it is natural that engineers should consider the suitability of more sophisticated designs, which more fully exploit the capability of prestressing. It has been found that prestressed concrete now competes successfully with other forms of construction for medium- and long-span bridges, tall buildings, long-span roofs, and other types of one-of-a-kind construction. Such changes in conditions of practice have created the need for engineers who have a firm understanding of the fundamental principles of prestressed concrete behavior and design, who can not only act effectively to optimize existing forms of construction, but who can also apply fundamental concepts %ith confidence in unusual and challenging situations. I hope that this textbook may be effective in developing that basic understanding. The book has grown from a set of lecture notes that I developed while teaching prestressed concrete to civil engineering students at Cornell University over a 15-year period. Every effort has been made to insure a thorough understanding of basic mechanics and behavior. Although the book is intended mainly as a college textbook at the fourth- or fifth-year level, a special effort has been made to develop a clear, self-contained presentation, so that the book may be useful to engineers who wish to improve their knowledge of this relatively new field by self-study. The material has been carefully coordinated with codes and specifications governing U.S. practice, notably the ACI Building Code, but also the AASHTO Specification for highway structures and the AREA Design Manual for railway construction. It is assumed that the student has had prior exposure to the basic aspects of reinforced concrete behavior and design. Certain fundamentals, encountered first in the design of reinforced concrete, are not developed fully here; in such cases references are given to other sources. The arrangement of the material follows that of my lectures. After an introduction to basic concepts and properties of materials, in Chapters 1 and 2, the analysis and design of beams is presented in Chapters 3 to 5. Losses of prestress force are considered in Chapter 6. It may be argued that analysis of losses should precede beam analysis and design, but I have concluded that, from a pedagogical point of view, there are advantages to getting on with the business of design early. In many practical cases, losses must be considered in no more detail than in Chapters 3 and 4. The study of deflections (Chapter 9) and the design of slabs (Chapter 10) are fundamental and should be included in a first course of study. However, the teacher may not find time to cover composite beams or continuous members (Chapter 7 and 8, respectively). These topics, as well as the treatment of axially loaded members (Chapter 11), may be deferred until a later course or taken up through self-study. Chapters 12 and 13, which deal, respectively, with precast construction and applications, have been written to permit their assignment as outside reading. Appendix A contains a variety of design aids. These are useful in connection with examples and problems to be assigned, and may also make the book a useful desk aid for the practicing engineer. Appendix B contains engineering data for certain common post-tensioning systems. No attempt has been made to be encyclopedic here, but only to present sufficient detail to permit realistic proportioning of members in practice problems. A word is in order relative to the units of measurement used. Nationwide, there is a movement toward adoption :of the International System (SI) of metric units. In many cases, basic science and engineering science courses are now taught in SI units. Certain industries have already converted. However, in current U.S. structural practice, the familiar “English” or “customary” units are still almost universally used. Conversion to metric units will follow by at least several years the metrication of design codes and specifications. Yet the new edition of the ACI Code, governing the greatest part of U.S. concrete design and construction, is written entirely in customary units. Recognizing that the users of this textbook may have become familiar with SI units in preparatory courses, but will soon enter design offices in which customary units prevail, I have proceeded as follows: (1) all graphs and tabulated information of a fundamental nature are given in dual units; (2) all dimensionally inconsistent equations are given in customary units, but SI equivalents are given in the separate Appendix C; (3) examples are given in customary units, but SI equivalents are provided, in parentheses, for input data and key answers; and (4) design aids in Appendix A are given in customary amts only. This is a reasonable compromise between encouragement to adopt The obviously superior International System of units, and recognition of the probable facts of professional practice over the next 5 to 10 years. Many persons and organizations have contributed to this volume. Significant contributions have been made by former students, particularly by Charles Dolan, of ABAM Engineers, Inc., who offered valuable comments and arranged for much illustrative material. Other illustrations were obtained through the cooperation of George Nasser, of the Prestressed Concrete Institute, Gene Corley, of the Portland Cement Association, Cliff Freyermuth, of the Post-Tensioning Institute, and many others. A substantial contribution was made b% Edward Nawy, of Rutgers University, who reviewed the final manuscript. Secretarial and other essential support was provided by Cornell University. 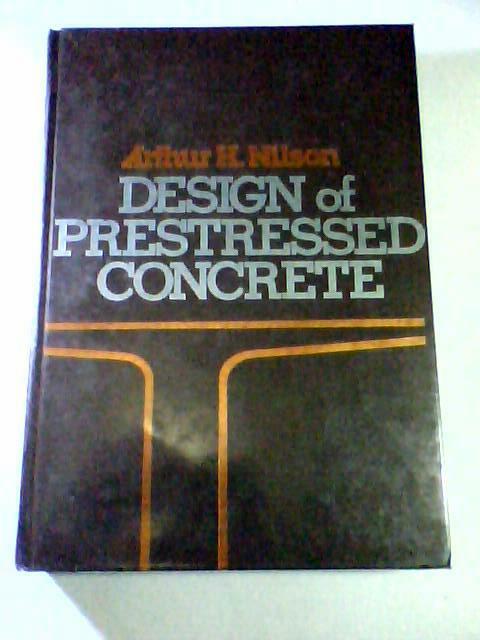 Finally, I would like to acknowledge the influence of George Winter, with whom an earlier book on reinforced concrete was coauthored. A long professional and personal association with him has had a profound effect in developing a point of view that I hope is reflected in the following pages. untuk pemesanan 1 hari – 2 hari sampai tujuan. tergantung biaya pilihan anda, dengan menggunakan jasaTiki JNE. You should be a part of a contest for one of the most useful sitges on the net.